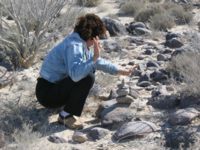 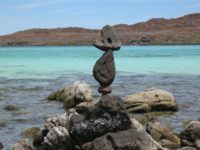 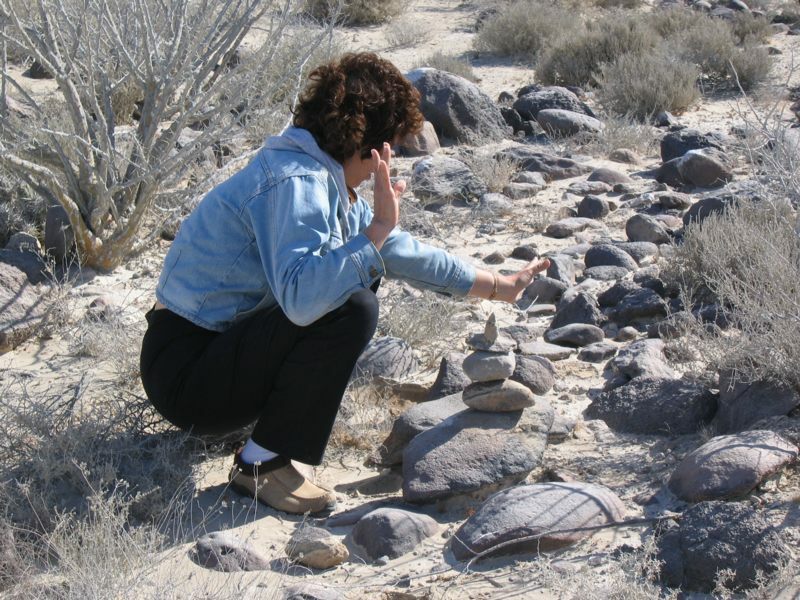 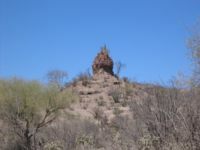 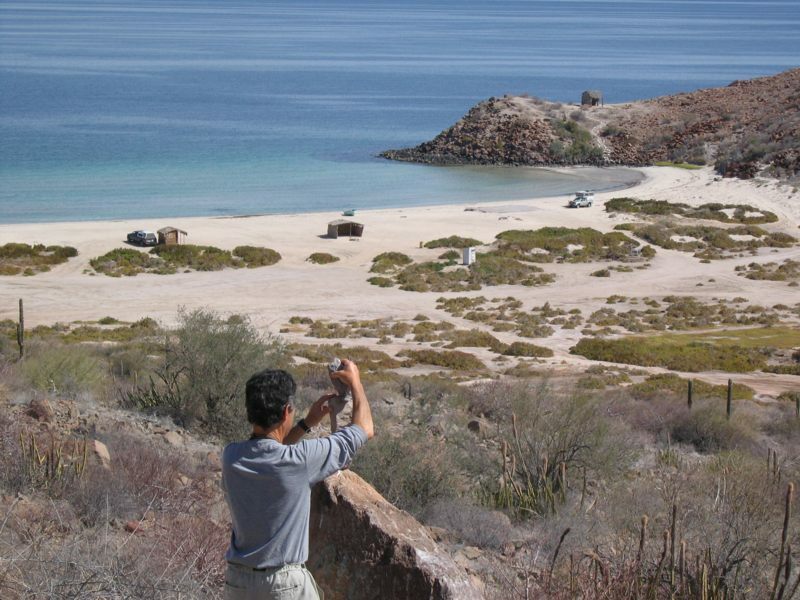 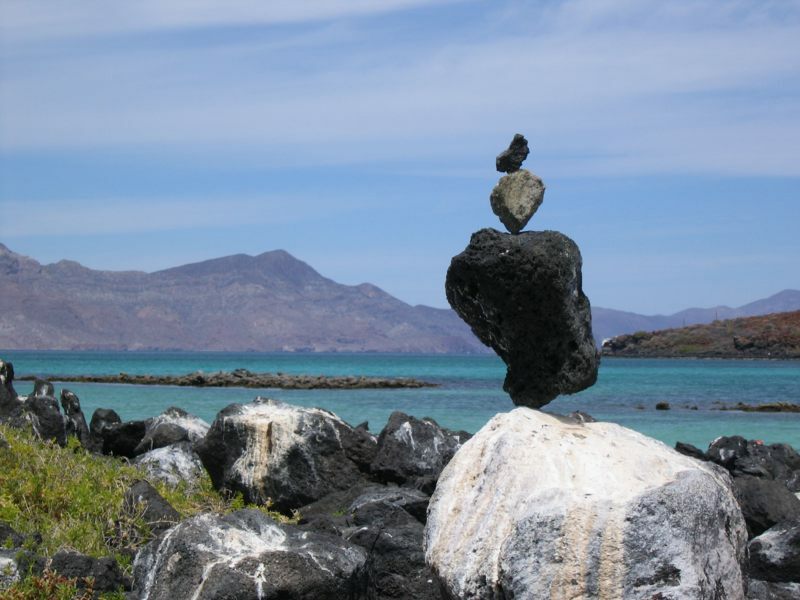 Its pervasive desert climate and abundant colorful rock make Baja California an excellent place to see natural geologic formations, create new balanced sculpture, and observe local traditions of rock assemblages. 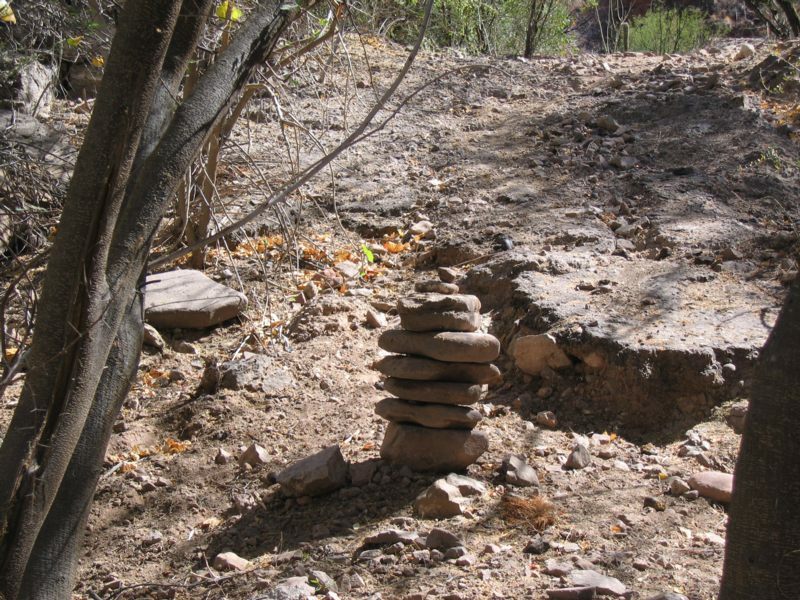 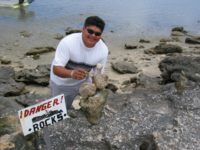 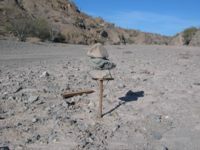 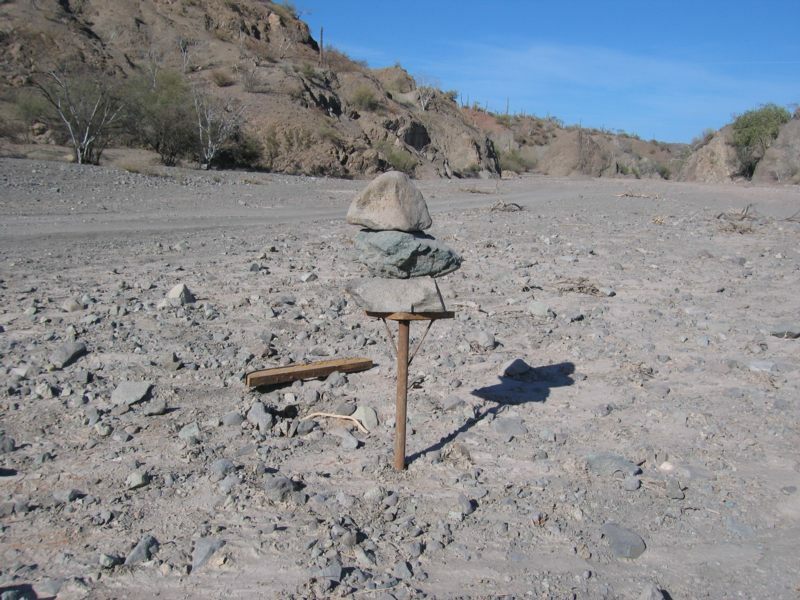 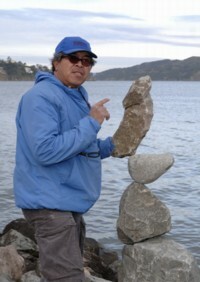 The trail-marking cairn is a common sight whether signifying a water source, a safe path through a steep canyon, or a beach foreshore free of stingrays. 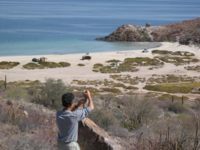 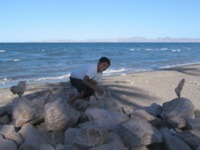 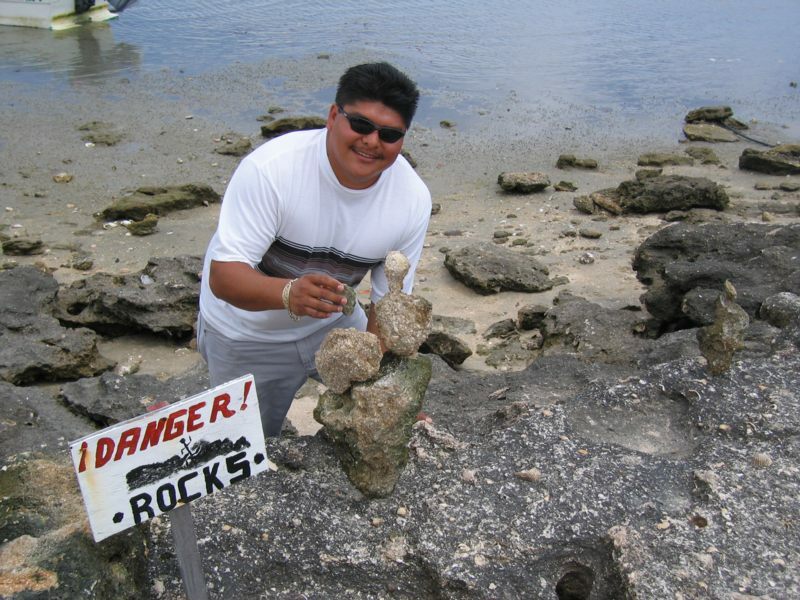 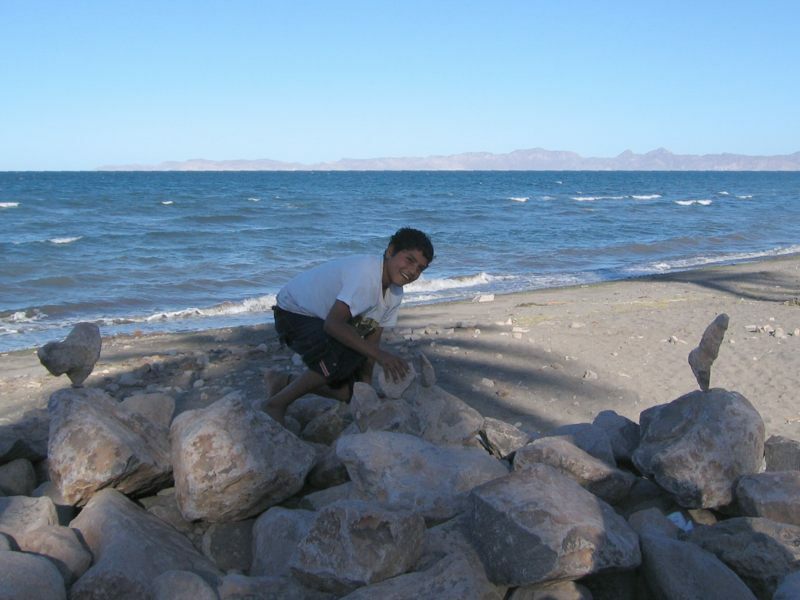 Tourists in Baja find ample opportunity to work with the widespread volcanic rock, and find a friendly, curious audience among the permanent residents. Their long experience with the traditional primary building material of their native land makes them quick, eager, and gifted learners of the balancing art.